To most people, the Vikings were uncivilized brutes, who plundered and ravished Christian Europe during the Middle Ages. In fact, the Vikings (or Norsemen) were skilled explorers and traders, whose legacy can be seen in the small town of Sigtuna, Sweden. The Vikings were descendants of Germanic tribes who settled in what is now Scandinavia. They were originally farmers, but became seafarers in the eighth century, perhaps seeking new lands for their heirs to cultivate. Using their technologically advanced “long boats,” Vikings ventured as far west as what is now Newfoundland and as far east as Constantinople, trading with the people they found and occasionally establishing settlements. If they learned that the people they encountered were not good fighters, they sometimes found it easier to plunder and steal than farm or trade, giving rise to their current reputation. Lacking paper or parchment, Vikings wrote on stone slabs called “runestones” using phonetic letters formed by easy-to-carve straight lines. 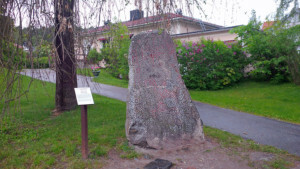 Runestones usually memorialized Viking dead but sometimes chronicled noteworthy accomplishments or identified property. 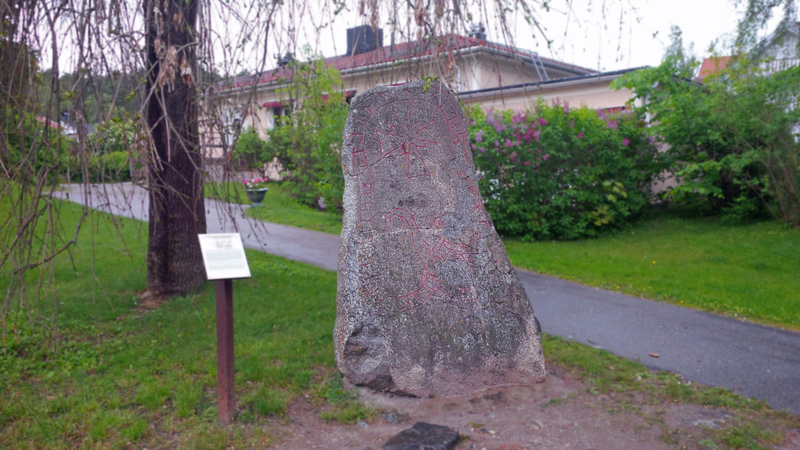 The writing on runestones typically followed a serpentine path around the stone. After Vikings adopted Christianity in the tenth century, runestones often contained a cross. Sigtuna, a 45-minute drive from Stockholm, provides an opportunity to learn about the Vikings. One lesson – their battle helmets never included horns.